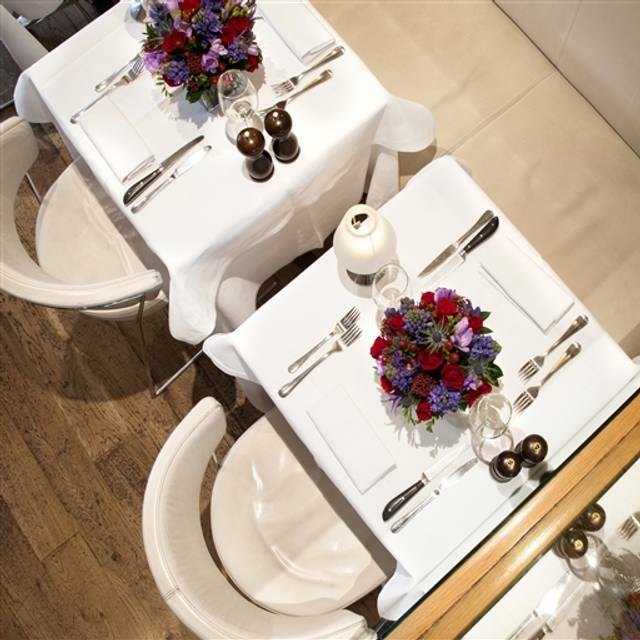 You must make bookings at least 5 minutes in advance of the time at London Steakhouse Company - Chelsea - Marco Pierre White. Metered on the street during the day, single yellow lines on the street after 6pm. Edith Grove secure car park 8 mins walk away outside the C Charge zone. Tube: Sloane Square, Earls Court, South Kensington. Bus: On bus routes that go along Kings Road. 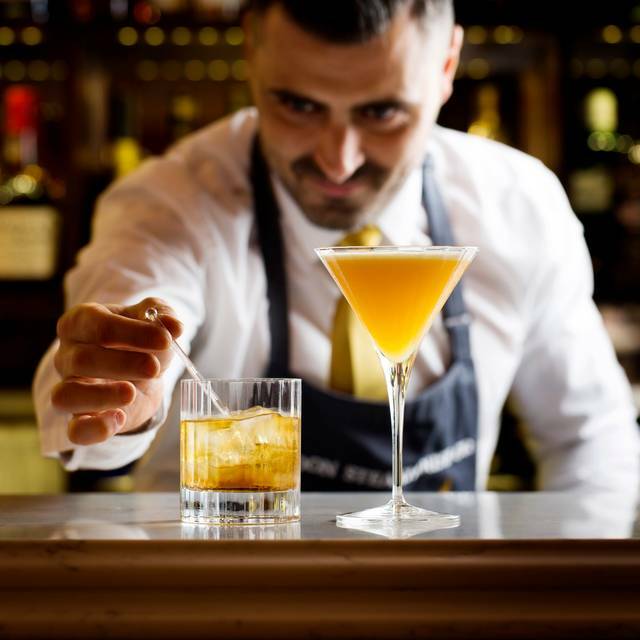 London Steakhouse Company comprises the original and only two steakhouses worldwide owned by Marco Pierre White. 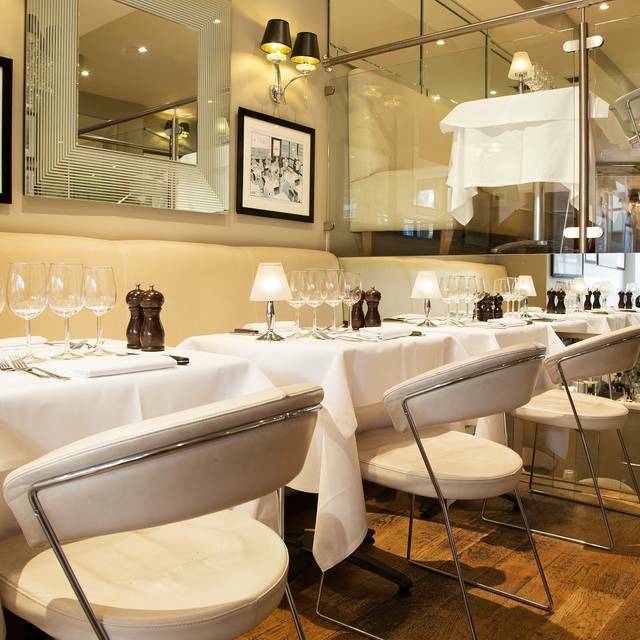 The second of those, London Steakhouse Company - Chelsea, is a traditional steakhouse in the heart of Chelsea, serving a mouth-watering range of classic steak cuts, as well as a wide variety of timeless English dishes. 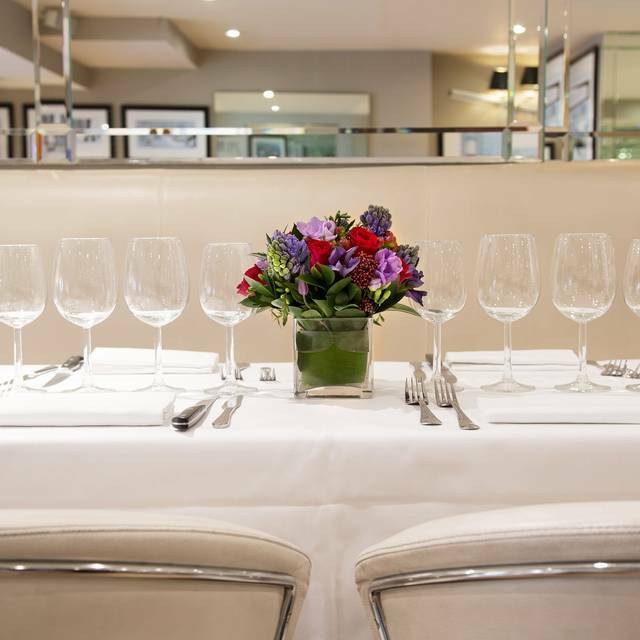 Open for lunch and dinner seven days a week, the London Steakhouse Company - Chelsea's glamorous interior is always buzzing, as locals, tourists and celebrities enjoy the finest quality steaks, roast meats and fish dishes in the area. London Steakhouse Company- Chelsea has a sister restaurant on Middlesex Street in the City E1. A semi-private mezzanine area is available for parties of up to 18. 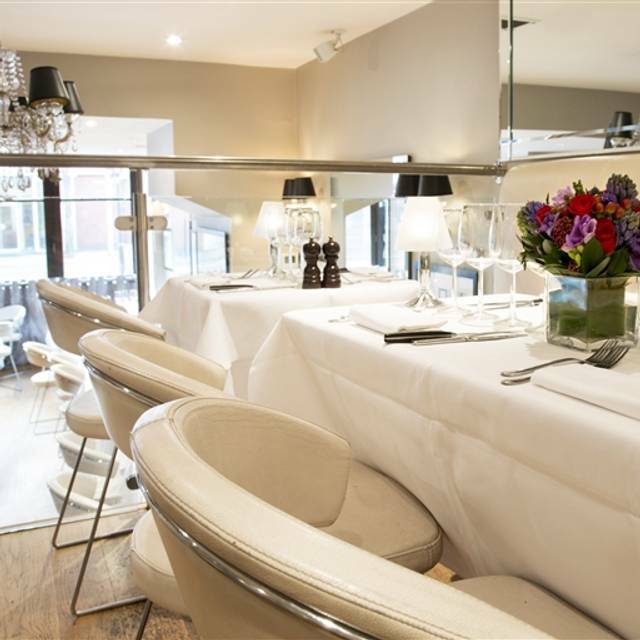 It overlooks the main room and features soft leather banquettes and beautiful hand-made mirrors. 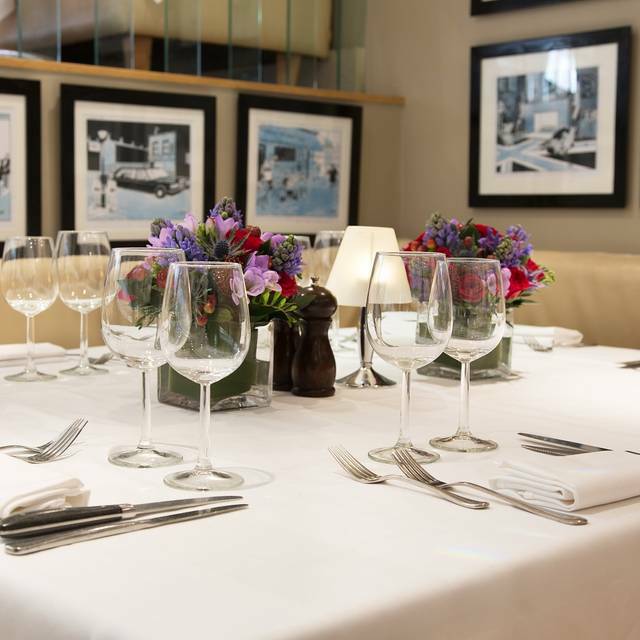 Ideal for a private event without loosing the atmosphere of the main restaurant. 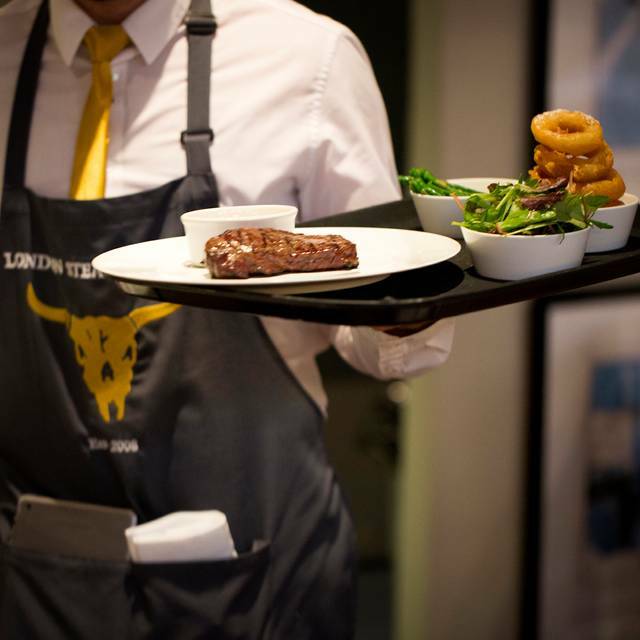 If you are celebrating with us, why not take home a little piece of the London Steakhouse Co? Get 3 course set menu for £29.50. Offer applies to Set Menu. £8 supplement for steak. The table may be returned after 90 minutes. 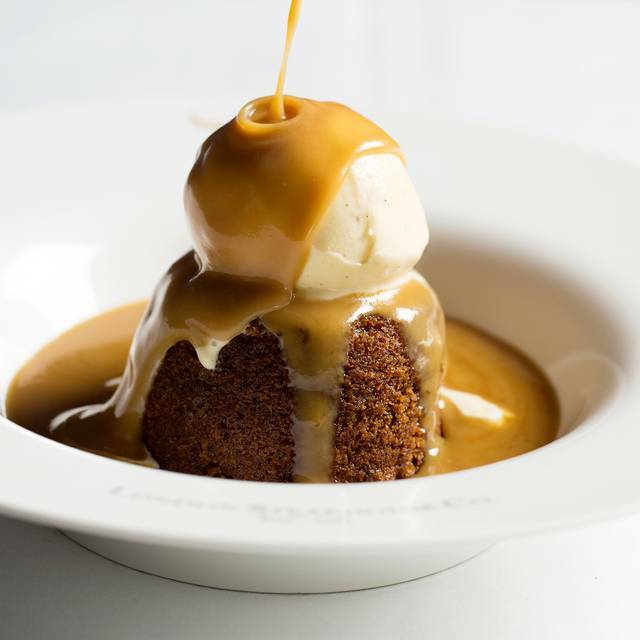 Get 50% off main courses when ordering a starter or dessert. Offer applies to A La Carte Menu. Get three courses, bottle of wine up to value of £30 between 2 people, water & service charge all included. The waiter was very nice, kind and quick. The place is rather small but it’s cosy. The food was very tasty and the sticky toffee pudding fantastic. Also it’s kids friendly! Great place for beef lover's topped with a relaxed atmosphere. The waiting staff were very professional and friendly. Super food. Fresh salads. Friendly service. Perfect steak. a very enjoyable special evening, service was very good and attentive, ambience was nice, food was excellent, the seating was a bit on the cosy side but no complaints at all. We booked the deal through open table where you have 2 mains, at 1/2 price as long you order a stater or desert with each main. The restaurant had no note that this is what we intended to do. Apparently open table were meant to email through a voucher. Without the voucher they wouldn’t honour the deal which was extremely disappointing. The email that was sent from open table re: reservation would not suffice. The service is always impeccable, the steaks perfect and 50% off deal is always a bonus! A very off hand welcome where they said they didn’t have our reservation despite it being on Open Table and I showed them on my phone. We were seated at a table directly under the air con . I asked to be moved and the lady next to us put on a cardigan. I asked for a Malbec and showed Tighe waiter on the list . He then brought an ice bucket which I looked questioningly at before he produced a Chardonnay. I showed him the wine again which was on the page clearly labels Reds. While pouring he sloshed the wine over the glass onto the table. Our chicken liver parfait was hardly set.. OK abut not good. I had Beef Wellington ... very over cooked with blackened pastry despite the fact I had asked for rare.we had checked if the boeuf bourguignon was pieces of meat . The waiter confirmed it was ... yet one whole piece turned up . Our cat had a good dinner as we just took the food away . Dessert of the day was good . The room was very hot and uncomfortable . The service was slow and several things ordered had to be ordered twice from the waiter. The food was mediocre at best and needless to say I would not return nor would I recommend this restaurant to anyone. A memorable evening. Friendly staff and delicious food. Cosy restaurant. Staff were Considerate and reseated us on an outer window table. Quality of food was good but not exceptional. We had to ask to order wine, no one asked if we wanted any. We waited a long time for a bottle of wine that didn’t come, eventually we were told that the one we selected wasn’t available and the replacement arrived about 3 seconds before our appetisers. Nothing at all is served to accompany steaks, additions are all chargable and not particularly good value (onion rings £4.50). What was presented looked stunning and taste was fine. We’d bought the three course deal and despite staff confirming this upon arrival we were still charged for deserts and embarrassingly had to request this was refunded. We expected more, would rather spend £100 for two elsewhere. Not bad, just not great. We celebrated our son’s 21st birthday - he and his girlfriend picked it. The restaurant was a little cramped but staff were lovely, food was great and Nick’s birthday was loudly acknowledged! We had help getting taxis afterwards too. A lovely evening. Friendly and professional service, good for and the 50% Opentable offer on the mains allowed us plenty of choice. My husband and I visited this restaurant looking for a good steak! We chose to have the set menu and paid extra for steak. I have to say that we have been to many steakhouses around the world and this has to have been the worst. We ordered the chateaubriand to share and it was so dry with blood all over the plate that hadn’t been cleaned. I ordered the creme brûlée for desert and it was tiny and so bitter. The sugar has been burnt way too much. I also found some really disturbing things floating in the bottom of my wine glass. I can honestly say the best thing about this place was the waiter who’s name I believe is Tony. He was so friendly, polite and entertaining. Excellent service from him. When leaving I explained all of this to the manager who didn’t seem like he was very interested in my constructive criticism. Honestly, if it wasn’t for the waiter we wouldn’t of had the three courses. Tony is the type of person you should have on the door greeting people. A good restaurant needs good food and staff to match. He would serve you all well! Unfortunately, we won’t be going back which is a shame. Thank you. Booked this as a last minute Christmas lunch for work team. The whole experience was very good - from making the reservation, changing numbers of attendees and menu choices to the actual meal - it was perfect. Food was delicious and very nicely presented. Waiting staff were attentive without being overly annoying as you sometimes find. Just great and would definitely recommend for any corporate event. Wait staff very young and inexperienced. I ordered cocktail , then they sent another very young waitress to clarify my wine request. I said it was not wine it was a Manhattan with Bourbon. Finally barman came and got it sorted. Then we ordered large starter and small starter came. However having said all that we put it down to an off night because we have been here several times before and always excellent. Food is great and their steaks are definitely their specialty. Upon arrival informed there was no record of our booking. Treated as second class citizens aka walk-ins. Seated and served drinks then told we could have the table for a limited time. We asked for another table, only to be told it was reserved. No one took that table or any in that area the whole time we were there. Had a wonderful meal here. Service was really good, steak cooked to perfection with lovely sides and dessert to boot! We're coming back!! We dined on the special price summer promotion which was great value. The wine list was not extensive but it was excellent. A great range of wines at very reasonable prices. To my mind, far superior to a massive list of ridiculously priced wines which is a hallmark of Chelsea restaurants (unfortunately). When ordering the steak, sides are a must. That may turn some off. I thoroughly enjoyed the experience and am glad to say we paid for what we got - great meal for a reasonable price (with very good wine to boot). A regular to London steakhouse, again didn't disappoint. Meat quality is good, services is not intrusive. I marked the value category down due to the side order portion. There're only 5 pieces of potato croquette and 3 spoonful of creamed spinach, the size were more generous on my previous visits. Booked at the Steakhouse for a celebratory meal as my daughter was graduating. The restaurant was very welcoming, there was a good buzz about the place as the staff were all happy in their work. The food was excellent - I even ate the tuna! Would I recommend - absolutely. A fantastic nioght was had by my whole party. We do date night once a month as we try to make time for each other with the hectic lifestyles we live with kids too so it was great. Been here a few times and just as great as the first time. quick pre theatre dinner, the meal was adequate but the food felt a bit mass produced, eg the bread rolls were served warm, but frozen inside. Great food, but cold plates, and cold in restaurant (they could not correct either!). The food is good and the environment is really nice. All the dishes are well made especially the dessert is outstanding. Highly recommended to go ! This was my first visit to the restaurant, and it definitely ticks all the boxes. Lovely décor, ambience, service with smile and lovely food and wine to compliment it. I was extremely disappointed with the service and cleanliness of this restaurant. I booked this restaurant through OpenTable to celebrate my boyfriend's promotion at work with comments asking to write a congratulatory message on his dessert plate. I received a phone call 3 days prior to confirm the reservation and collect card information to hold the booking in which I also confirmed they had received my comment and repeated what it needed to say. We sat down for dinner in a crowded row with no personal space or intimacy. We can hear conversations to the right and left of us, hardly each other. The wine glasses were dirty with lipstick marks on them and had to ask for new ones before tasting my wine. The steaks came out with the wrong meat temperatures which is highly disappointing as it was a steakhouse. Don't hand me a medium rare that is recommended by the chef when you asked me how I want it cooked and I ask for medium. When it came to dessert, the server places a Happy Birthday in front of my boyfriend was was just embarrassing. As the server was setting it down, I asked her why it said happy birthday as it wasn't his birthday. She either didn't speak English or didn't know it well but just shook her head and said no? As she made an embarrassed face and bit her lip and set down his dessert in front of him. I was furious, the servers and hostesses all noticed what was going on and refused to address it. They checked the computer comments and realized their mistake. Not one individual at the restaurant addressed the error. I was so disappointed in the entire experience. I received the check, paid for the amount. As we got ready to leave, the host came back to the table and pointed out they forgot to charge for the bottle of wine. At this point this restaurant became a joke in my eyes as I had to pull out my card for the second time. This was their chance to apologize for the service, cleanliness, and food by saying it was on the house. Terrible establishment. There is a reason the steaks are cheap and its not a good one. 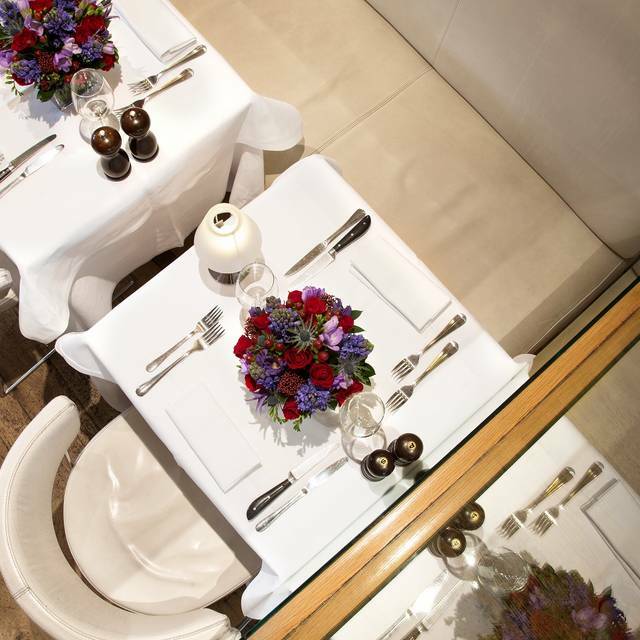 We had the pleasure of trying out MPW in Chelsea on an open-table deal. In anticipation of a good steak we entered the restaurant, being greeted with the warning that our table will be re-assigned after 90 min. An interesting way to make customers welcome. At the table, we had hardly the space to breath, let alone to have a privacy - the restaurant clearly mastered the art of maximising the number of tables in a given floor space. When the main course arrived, the steak was well cooked, but clearly not the most spectacular piece of meet we ever had. The service we experienced was very interesting - we ordered a bottle of wine, which then wasn't available (I understand this can happen) but were advised that the wine would be the same, despite being a different year and different producer. I may suggest to the management to invest in some sommelier skills. Overall the experience was rather mediocre, but I acknowledge the Chelsea/ celebrity chef effect. If this is what you are after, then try a MPW dinner. If it is a nice dinner in a friendly atmosphere, try another place.